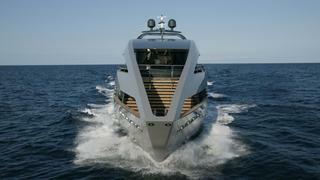 AvYachts’ answer comes in the form of 10% shares in a yacht that is fully managed by a dedicated concierge team. Fees are paid quarterly and cover repositioning, crew, maintenance, insurance and all other operational costs. The firm launched its offering at the Miami Yacht Show 2017 with a Westport 112 and has since expanded to add a Westport 130. The fleet is now active cruising from New England to Cuba via all the usual yachting hotspots. AvYachts is by no means the only company offering fractional ownership, but Kennedy is keen to stress their USPs, which include the option for a buyout after five years, a dedicated app and the ability to trade yacht weeks across size brackets and locations or swap for a week ashore with luxury hospitality partner Elite Alliance. The shared ownership model has been gaining traction in the US for many years now and one company helping to spread the business model to the other side of the Atlantic is SeaNet, who set up their European operation in 2017. Belgian entrepreneur Matty Zadnikar manages the Mediterranean fleet, which includes Mister Z (pictured above), a Benetti Delfino 93 that is based in Split, and a forthcoming Benetti Delfino 95, which will be available on the French Riviera. Additional yachts are planned for Mallorca and Italy, while the firm’s US operations are also growing, with new 35 and 40 metre yachts in the pipeline. Owners can choose to purchase a quarter, third, half or 75% share with running costs paid on a monthly basis. As there is a maximum of four owners per yacht, SeaNet ensures that each owner gets a minimum of seven weeks on board per year. To ensure that the peak season is divided up fairly owners take turns selecting their preferred week, with the order alternating annually. A firmly established name in the charter and brokerage world, Floating Life first got involved in the fractional ownership world back in 2007 and has eight years' experience managing the Yacht Plus fleet: Ocean Pearl, Ocean Sapphire and Ocean Emerald. The latter two have been sold, leaving Ocean Pearl (pictured above) as the sole survivor on the charter market, being shared across nine clients and used 24 weeks per year. Clients can come on board via a time-share contract that allows for long-term usage, or as fractional owners with the option to charter out unused weeks and pocket the net revenue. Transparency of scheduling is a key priority for Floating Life, with clients able to see where all of the yachts are at all times, while the dedicated concierge department means clients can relax and enjoy the superyacht lifestyle. One of the newest names on the fractional ownership scene, YachtQuarters was launched at the Düsseldorf Boat Show 2018 by Henning Price, who previously managed a similar scheme via Princess Yachts Mexico. 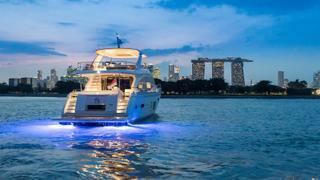 “Yacht owners should be able to enjoy their time on board and not have to worry about the myriad of issues and often complicated decisions that come with yacht ownership,” he believes. Backed up by the experience and infrastructure of Princess Motor Yacht Sales’ Port Adriano office in Mallorca, YachtQuarters is currently offering 25% shares in a new Princess 75 motor yacht (pictured above) and has plans to expand the fleet to add a Princess 88 and a Princess 30M. Ownership periods are limited to a minimum of two years and a maximum of four years, at which point the owners will be offered an upgrade or a buyout. “Nobody needs a yacht for 50 weeks of the year,” Price adds. “Young families are busy; they don’t want to allocate ten weeks per year on their boat, so it does make sense to try and share."